The dream for the average law student is securing a job at a top tier law firm right out of university. However, a few years in, many find that the long nights in traditional legal jobs don’t mesh with family life. This point was made clear to Sarah Bartholomeusz when she was pregnant with her second child and made redundant from her job as an in-house lawyer. After more than ten years in the industry, she knew it would be difficult to find a job that would suit her specific needs so she decided to create one, launching You Legal. Based in Adelaide, You Legal is just one of a growing number of legal startups in Australia, focused on offering a range of services online at up to 20 percent less than the cost of a top tier firm, made possible thanks to the low overheads that come from working online. You Legal has a professional staff of 14, available to work with clients online or as in-house counsel on a retainer basis. It offers corporate and commercial legal services and resourcing, including services relating to property law, insolvency, business compliance, trademarks and patents, buying and selling a job, employment law, franchising, and corporate governance. Launched two years ago, the startup last week won the Best Startup award in the South Australian category of the 2015 Telstra Business Women’s Awards. “I heard on the ABC Law Report about a firm in the US whose staff worked remotely or from their client’s offices, that was the catalyst for the idea. The next step was figuring out how to structure it,” Bartholomeusz said. You Legal works much like similar services such as LegalVision and Source Legal, with its lawyers able to meet clients in person or work via email or Skype, and using an online platform to share documents. Depending on the service, work can be completed on a fixed fee basis. The majority of the You Legal staff are women, something which Bartholomeusz said was a conscious decision when she was hiring. “One of the reasons I set up You Legal was to mobilise part of the workforce that I saw excluded based upon the ‘this is how it’s always been done’ rhetoric of traditional law firms. The inflexibility and long hours were not offering my colleagues in the legal profession the opportunity of going back to work after having children,” she said. You Legal works based on a set of four key values: unstoppable, fresh, thoughtful, and love your life. Bartholomeusz believes this last one is an important part of why staff who previously worked in top tier firms decided to take a leap into the relative unknown. The startup now has 100 clients on its books, many of which have come thanks to both the highly experienced staff Bartholomeusz has hired and her fresh approach to marketing. She has ignored the stereotype of the serious, stuffy lawyer and introduced pun-laden memes to the startup’s social media channels. Bartholomeusz also creates vlogs on various legal topics, including a recent video on the news that the copyright over the song Happy Birthday is no longer valid. Bartholomeusz is part of the Entrepreneur’s Organisation, an experience which she said has been a “game changer” in terms of helping with the business side of running a law firm. “I believe it’s been a big factor in helping me fast track my success and the reason I have got to here in just two years rather than five to 10 years. The support network of like-minded business owners who are in the same space as you cannot be overestimated – and it can be very lonely otherwise,” she said. Bartholomeusz has big goals for the future – her “big hairy audacious goal” is to reach 1 million clients in 2020. There is, of course, much competition in the space: not only does You Legal have to compete with the traditional law firms, but the growing number of online legal startups as well. 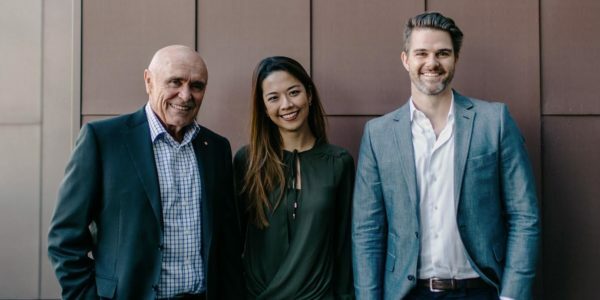 Perhaps the most well-known, LegalVision, raised a $1.2 million Series A round earlier this year before acquiring consultant lawyer marketplace CapacityHQ in June, while others such as Source Legal and Divorce Right have emerged focusing on specific services or niches. However, You Legal has an advantage in that it’s one of the only online law firms in South Australia, and its services and costs are perfect for the growing number of startups in the state. Dominating this space will see it be able to move significantly towards that big audacious goal.